Jerome Corsi: I'm Being Indicted And Will Die In Prison - Joe.My.God. 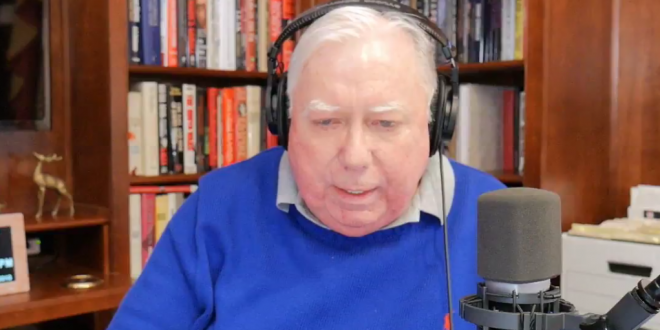 At this writing Roger Stone pal and Infowars nutbag Jerome Corsi is live-streaming on YouTube where he reportedly just told viewers that he thinks he will die in prison. NBC is reporting that Corsi has told them that Mueller’s team has told him that he will be indicted for perjury. Corsi’s fans are making donations on the live-stream. UPDATE: The Associated Press reports. An associate of longtime Trump confidant Roger Stone says he expects to be indicted by a federal grand jury in the special counsel’s Russia investigation.